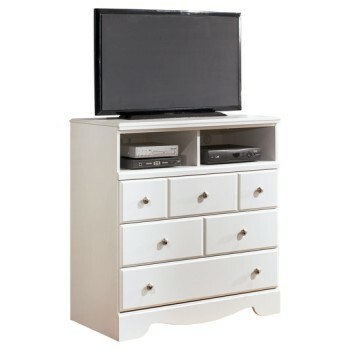 Those entertaining a television setup in the bedroom find this media chest beautifully in tune. The bright finish and clean lines make it highly versatile. While classic contemporary, it’s also right at home among shabby chic and vintage furnishings. Open shelves can house cable boxes, Blu-ray players and even video game systems. Three spacious drawers provide plenty of media storage.